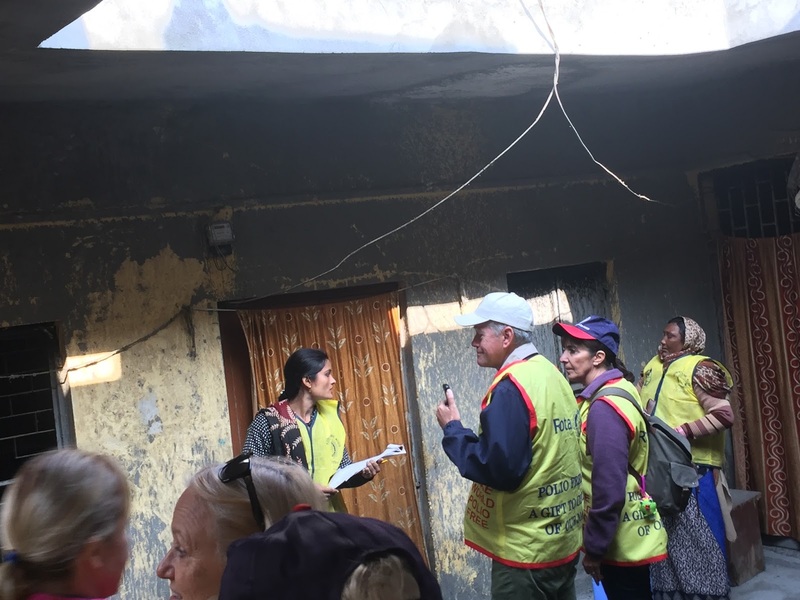 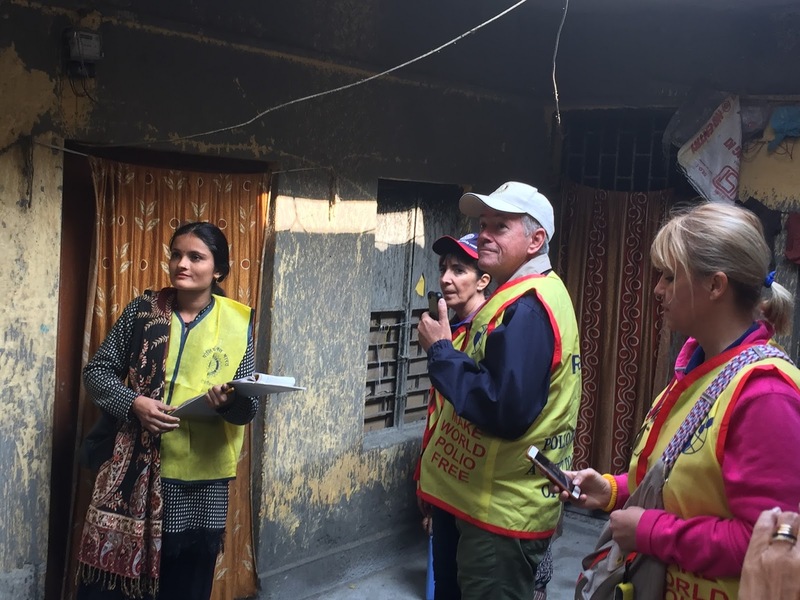 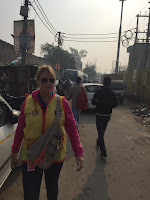 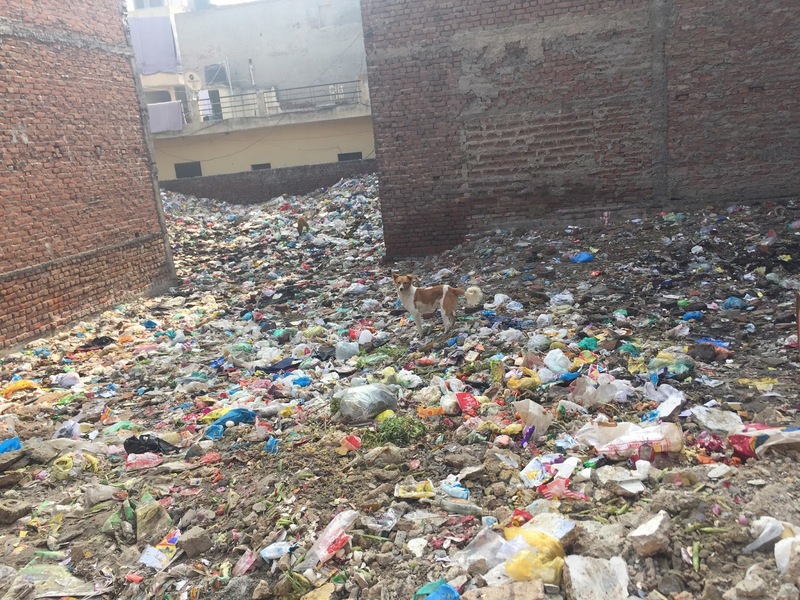 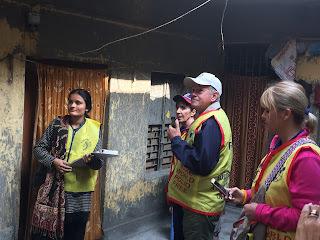 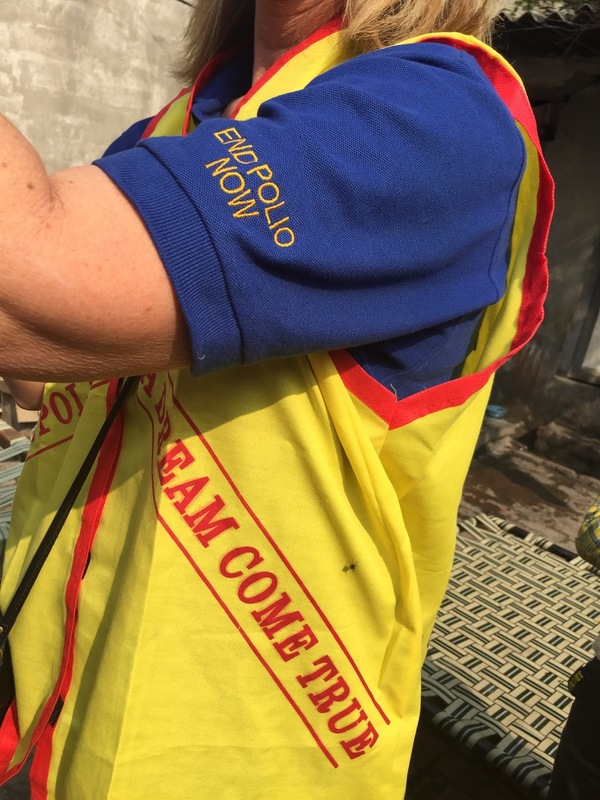 Rotary Zones 33-34 Polio Warriors: The Day After - Mop Up! 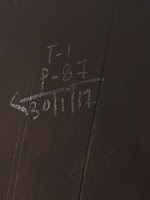 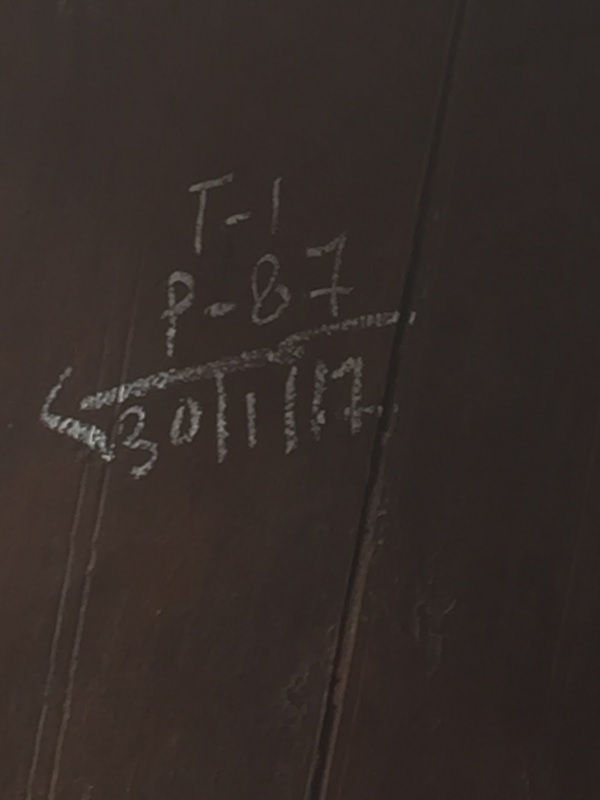 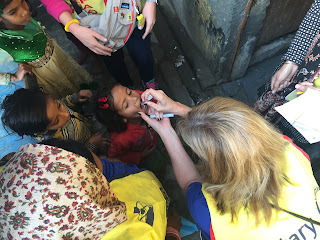 Thresholds are marked to verify immunizations therein. 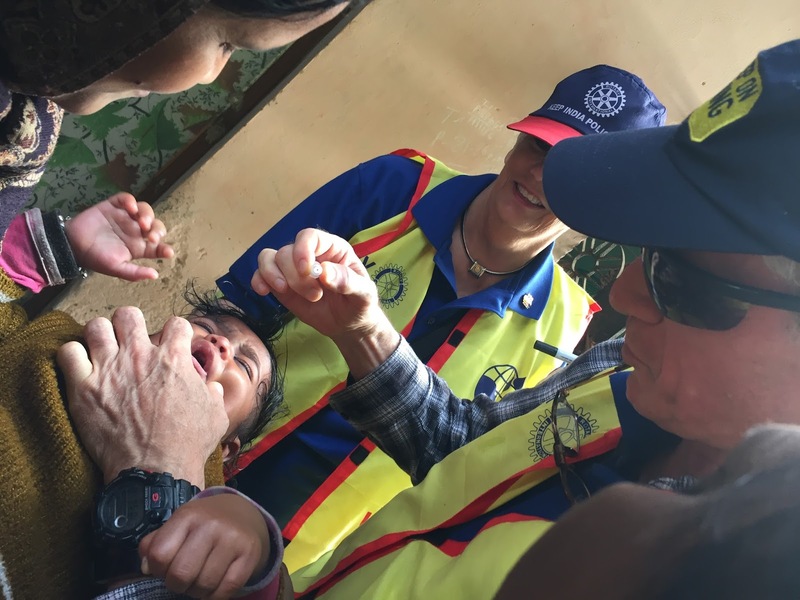 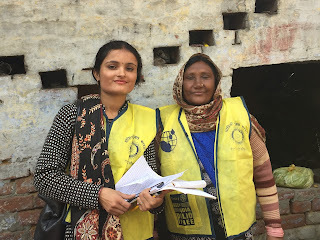 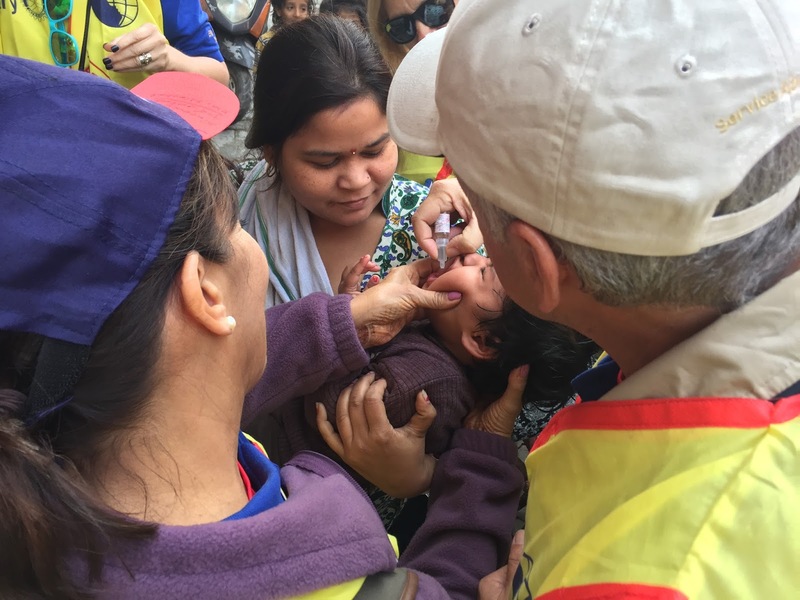 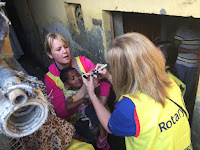 After yesterday's nationwide National Immunization Day, the same volunteer teams mobilize again to go into the streets, home to home, with health workers to look for children who do not have a 'purple pinkie' from yesterday. 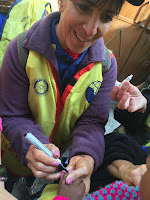 The Rotary Zone 33 & 34 Polio Warriors were no exception. Join us herein for a pictoral display of our walks through the neighborhoods, administering drops as we go, and painting pinkies purple! Two members of our team, Joyce & Gary, had to return home before the NID due to a family emergency. 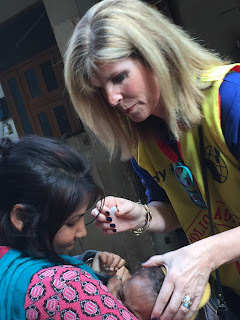 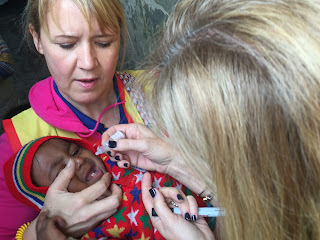 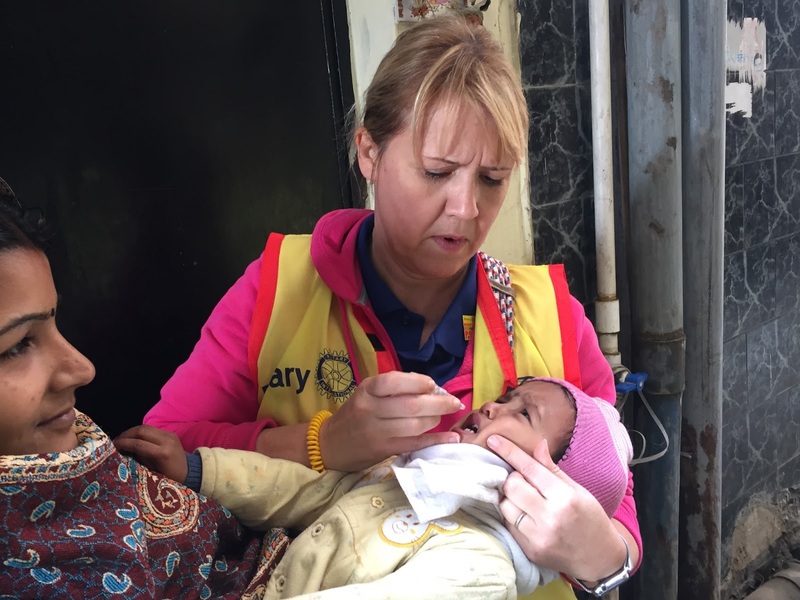 Our first two drops administered on the NID, by Mary, below, is given in honor of Gary, Joyce, and their mother. 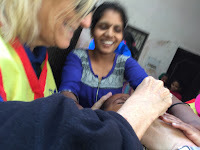 Two magic drops with a smile! 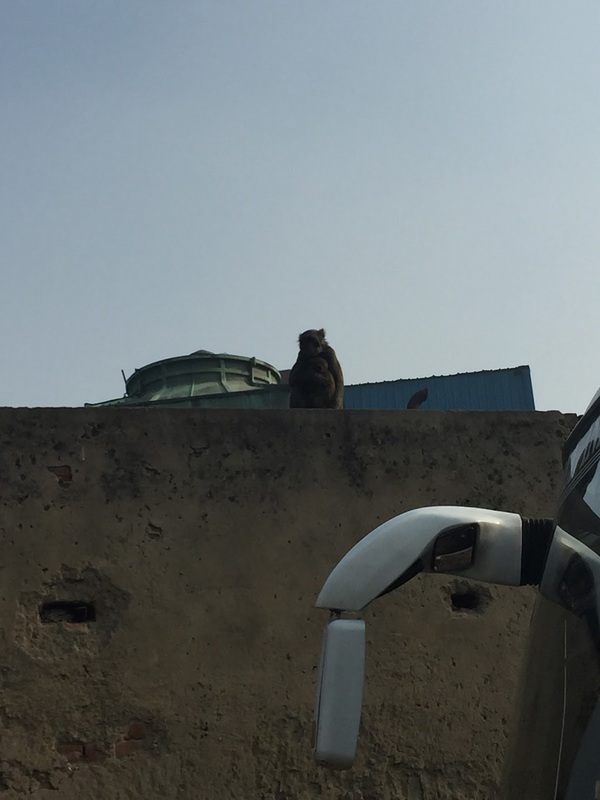 No monkey business with the Polio Warriors. 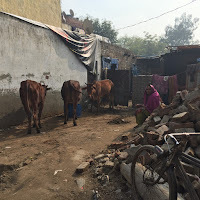 A lady and her cows. 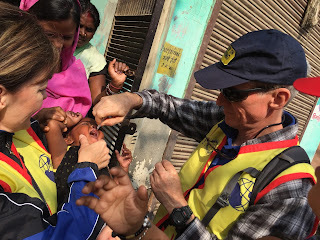 Gotta Praise the health workers as they dutifully make their rounds. 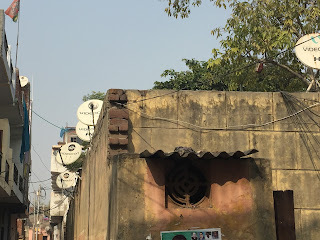 Couldn't help but muze over the satellite discs. 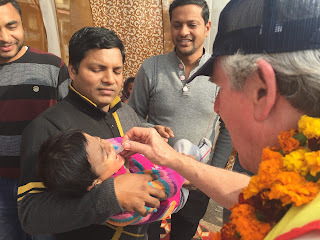 Just two drops changed this child's life, forever! 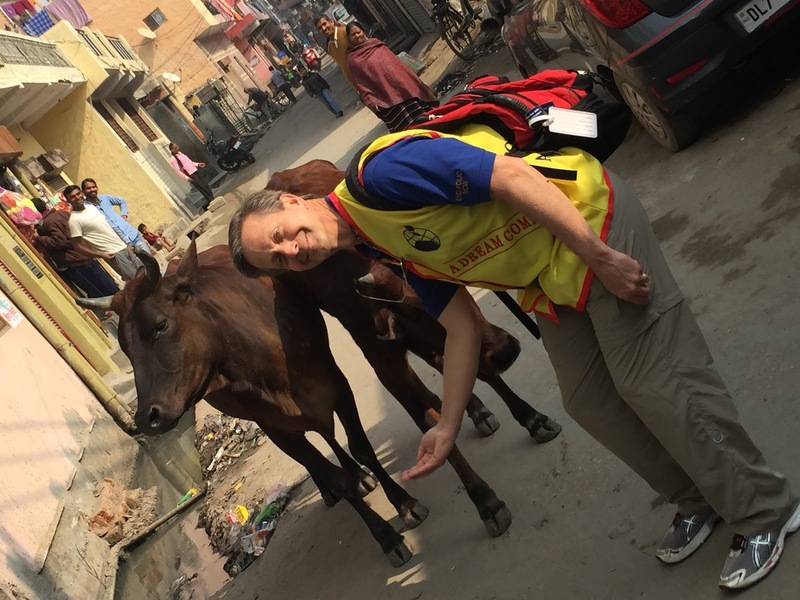 Tag Teaming! Go Karen and Jeanette. All Honor & Praise to these Health Care Workers who immunize daily! A Dream Come True - End Polio Now! 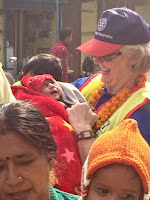 What more needs to be said! It takes us all working together to make the circle complete. 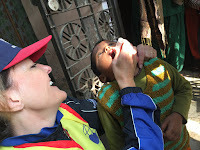 If Mama's Happy, the entire Zone 34 Polio Warriors Team is happy! 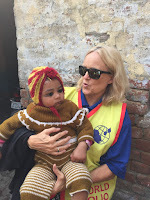 It's ALL about the Children! 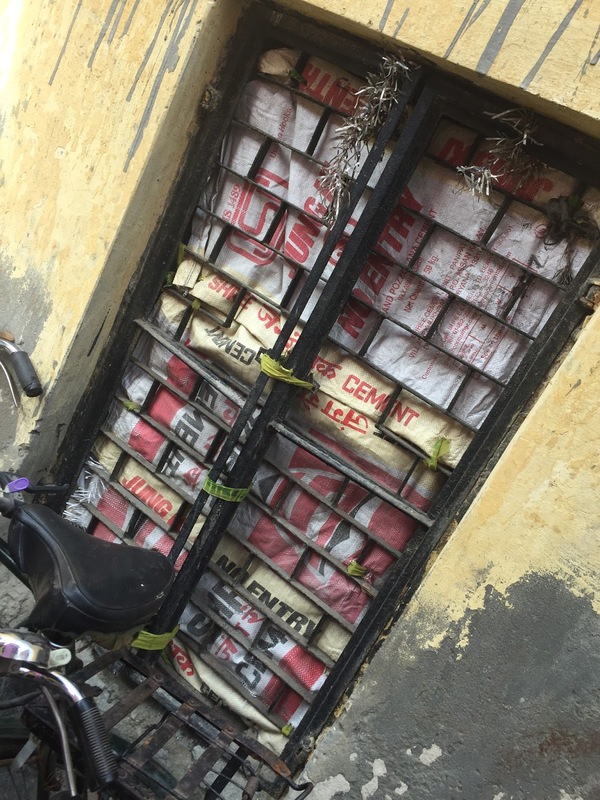 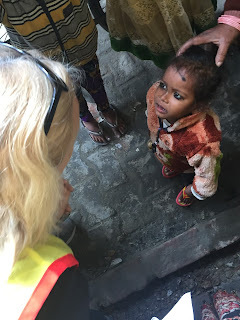 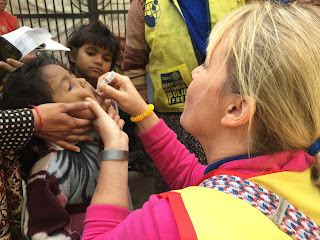 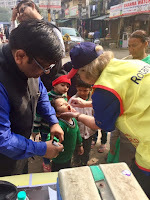 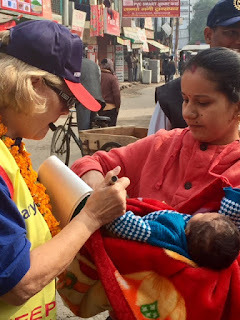 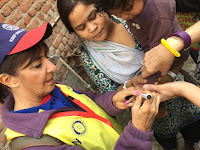 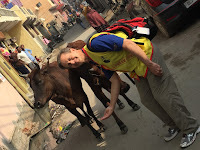 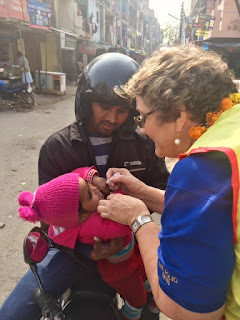 KEEP INDIA POLIO FREE! 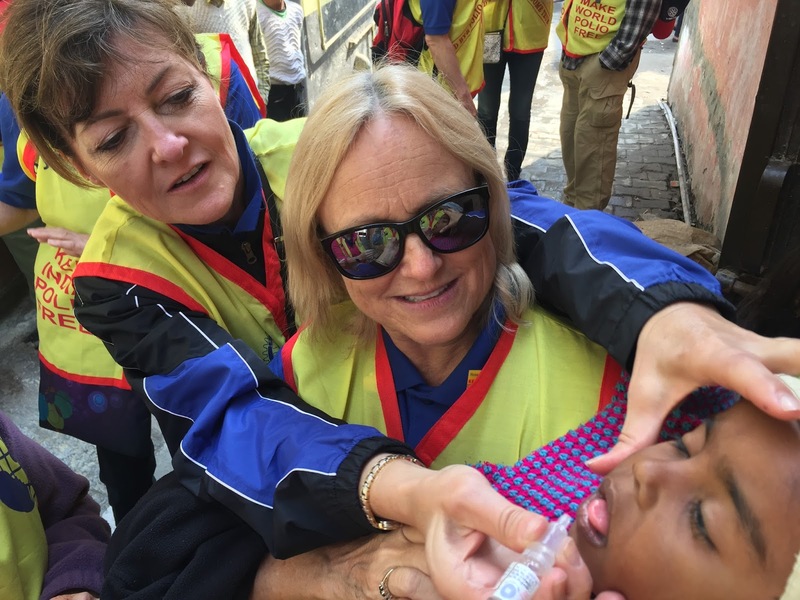 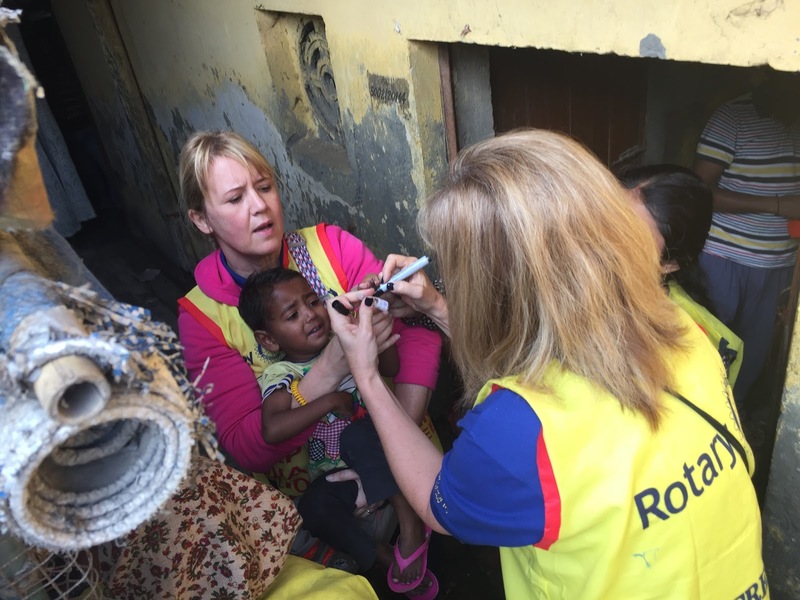 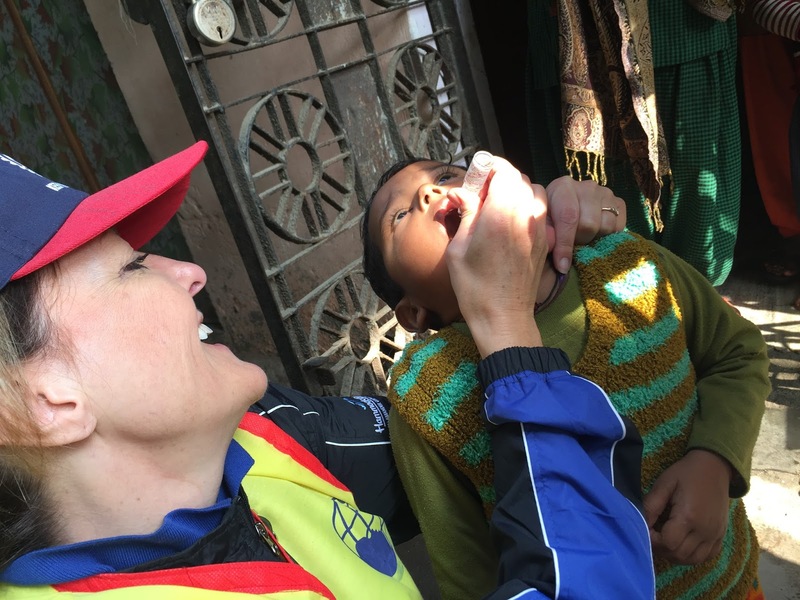 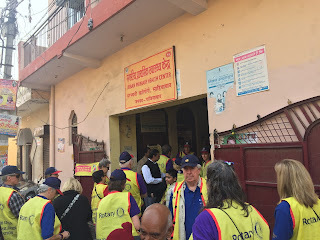 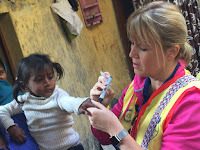 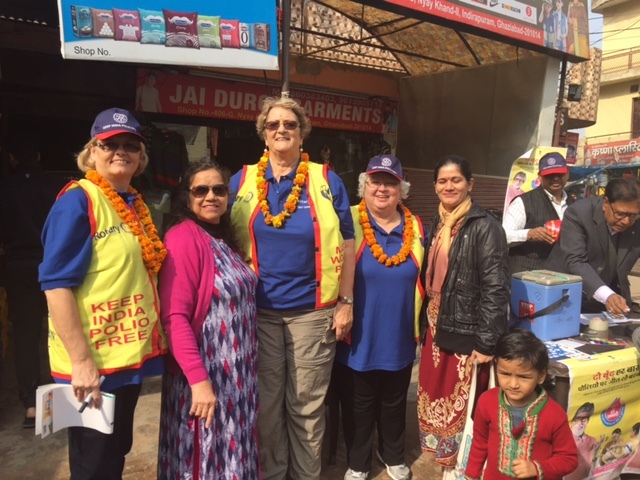 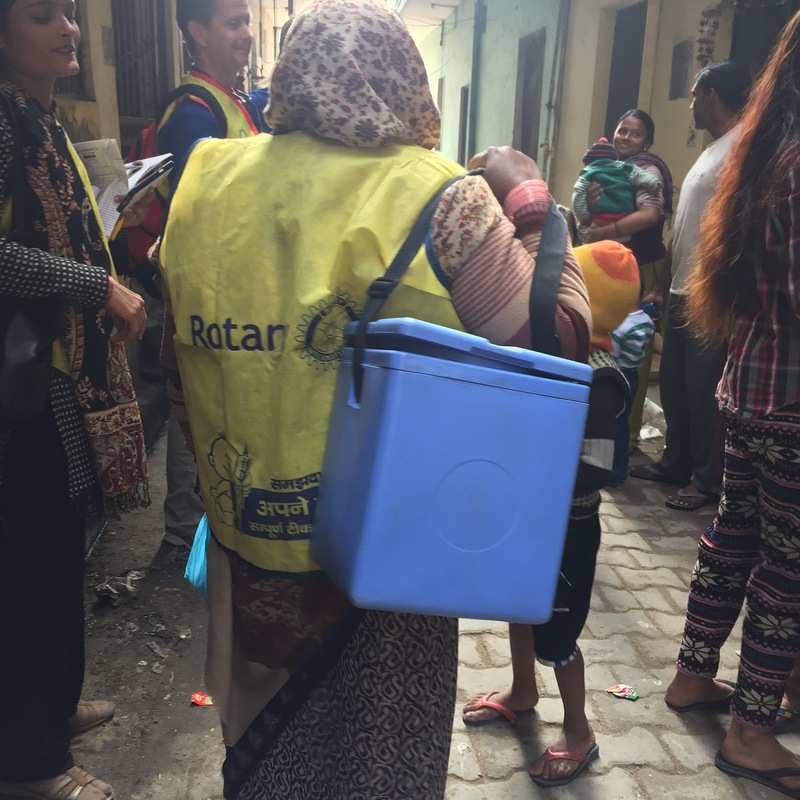 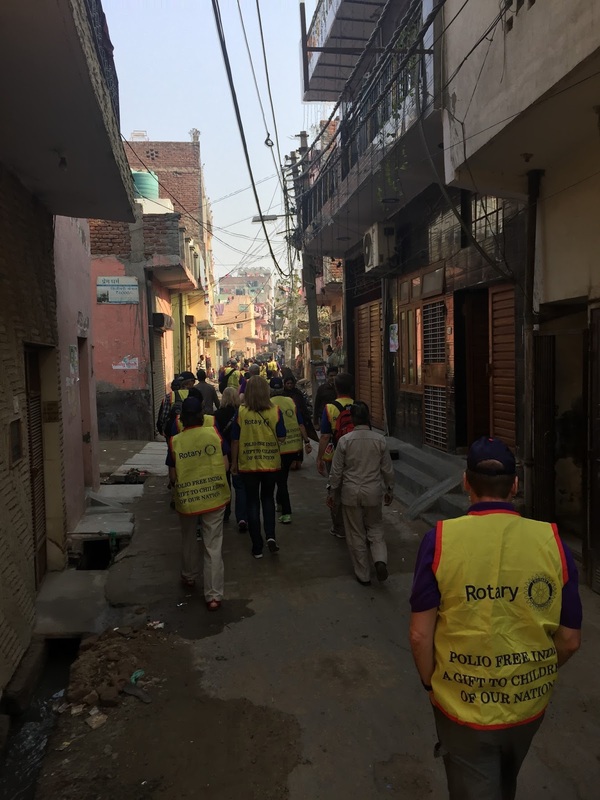 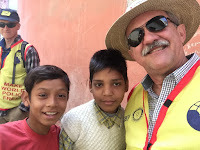 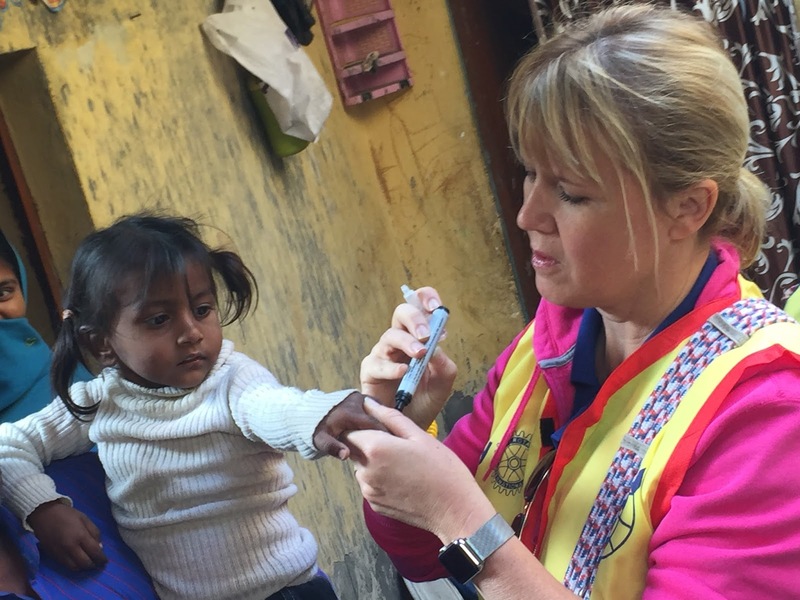 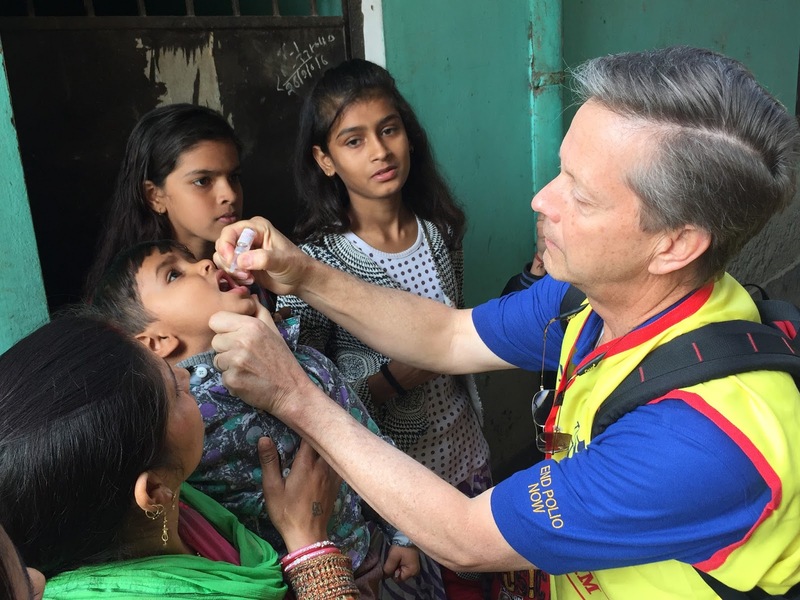 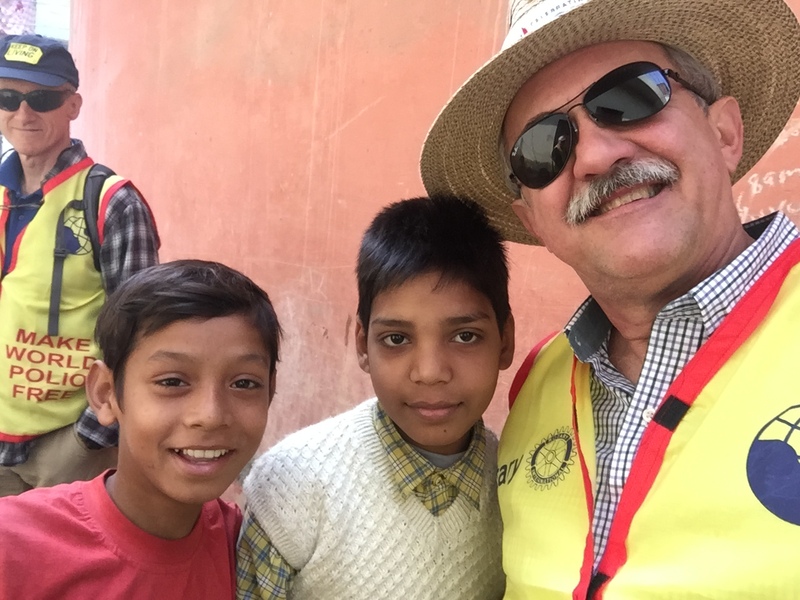 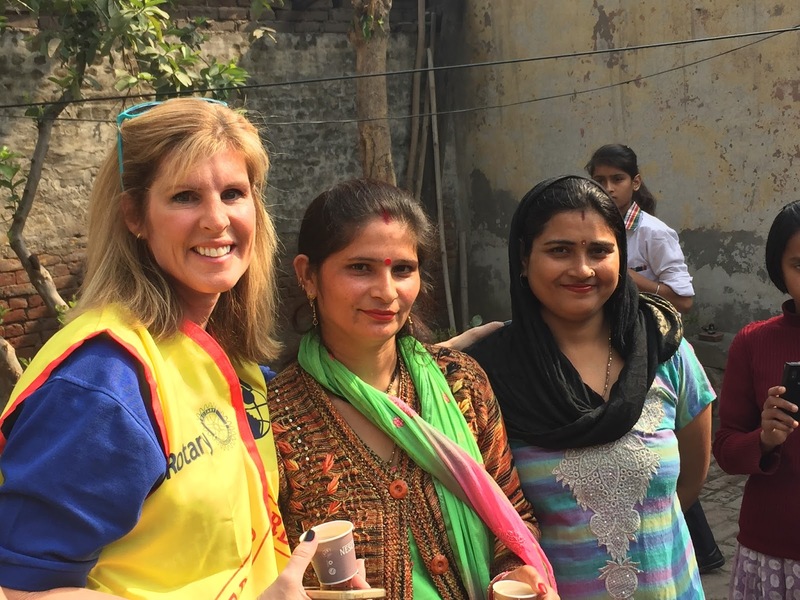 Several more days of our visit in India, but today was definitely the apex of the trip for our Team of Rotary Zone 34 Polio Warriors! 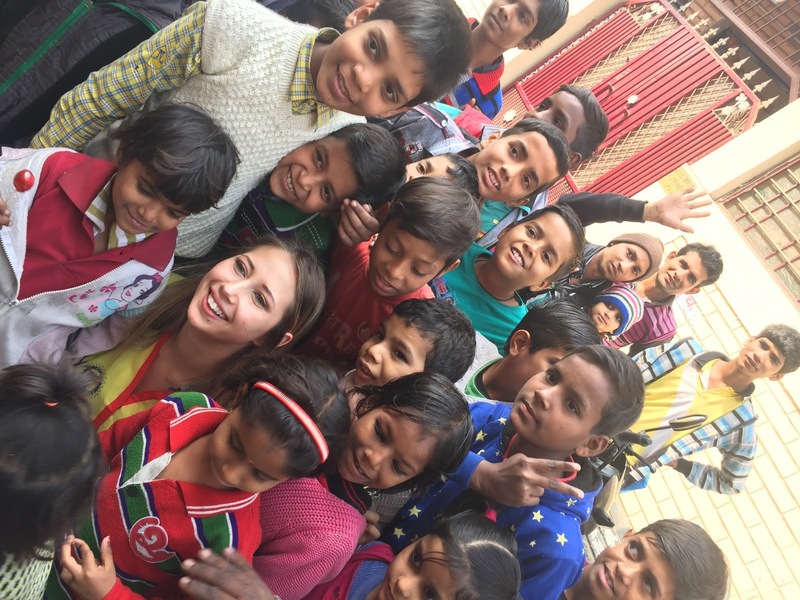 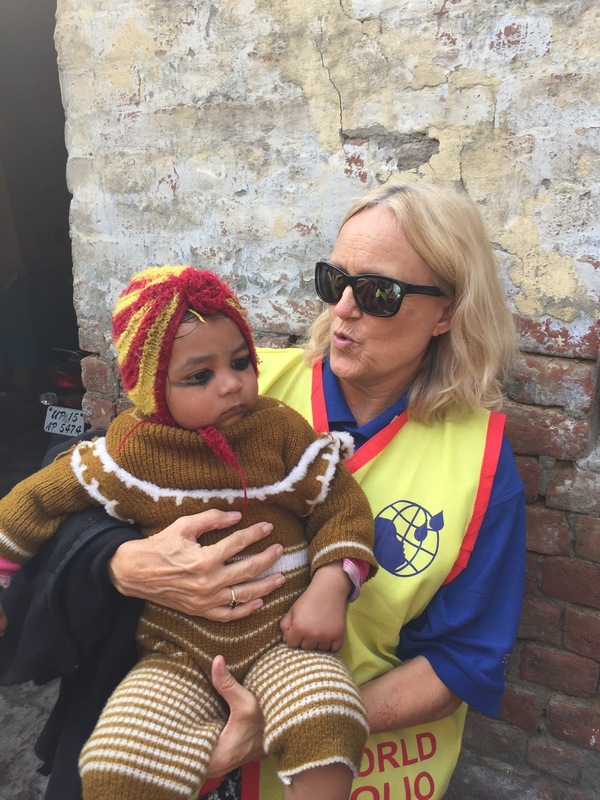 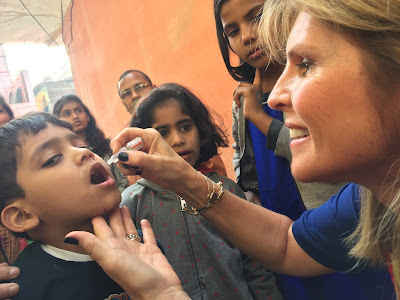 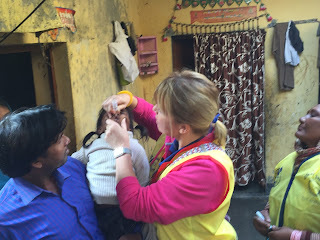 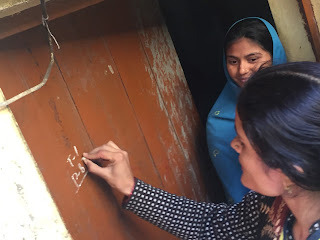 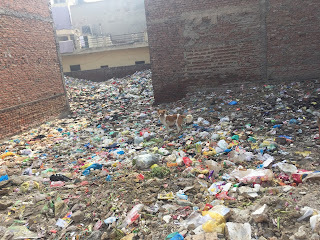 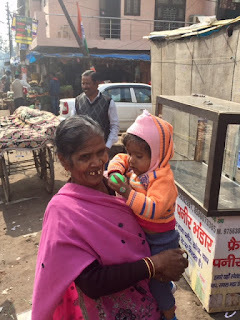 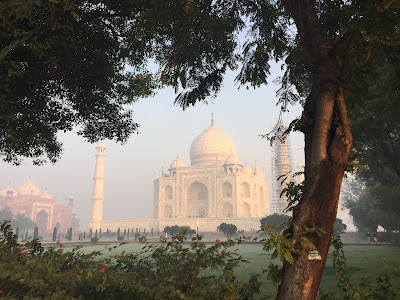 We'll have more blog posts as we wind down and head back home to the United States, but we do hope that you are/have enjoyed being with us, and that you will reach out to us to join us in the next round of National Immunization Days in India. 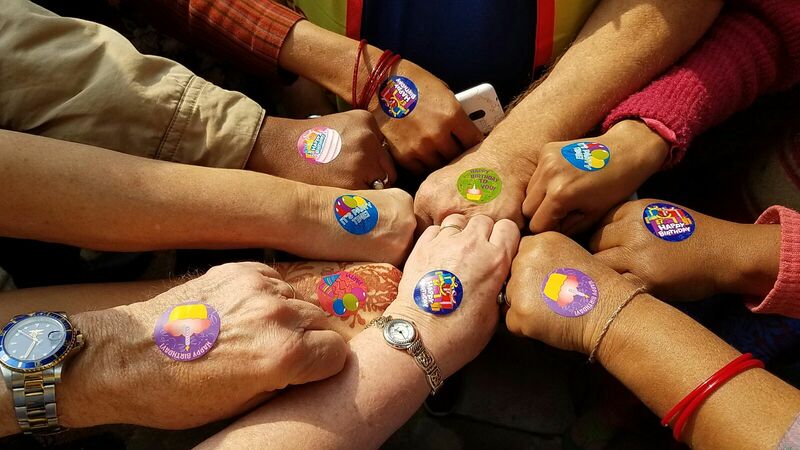 It takes us all working together to make for a better world. 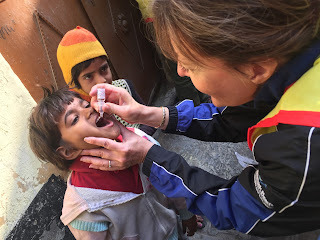 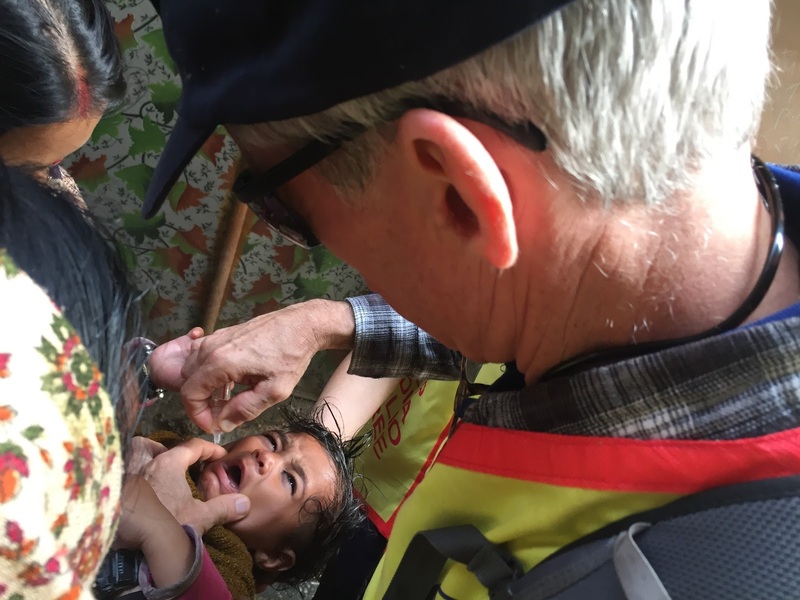 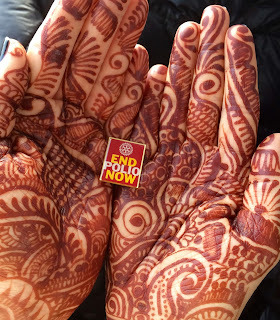 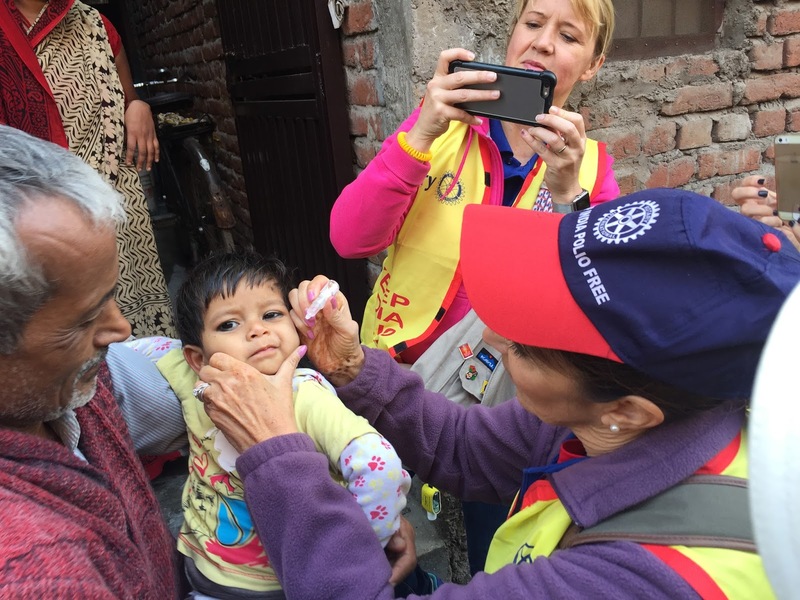 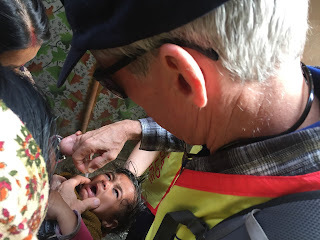 Join us as we KEEP INDIA POLIO FREE!